We’re planning on covering the corners of the house with trim made from siding boards ripped in half and beveled at 30 degrees on one side. 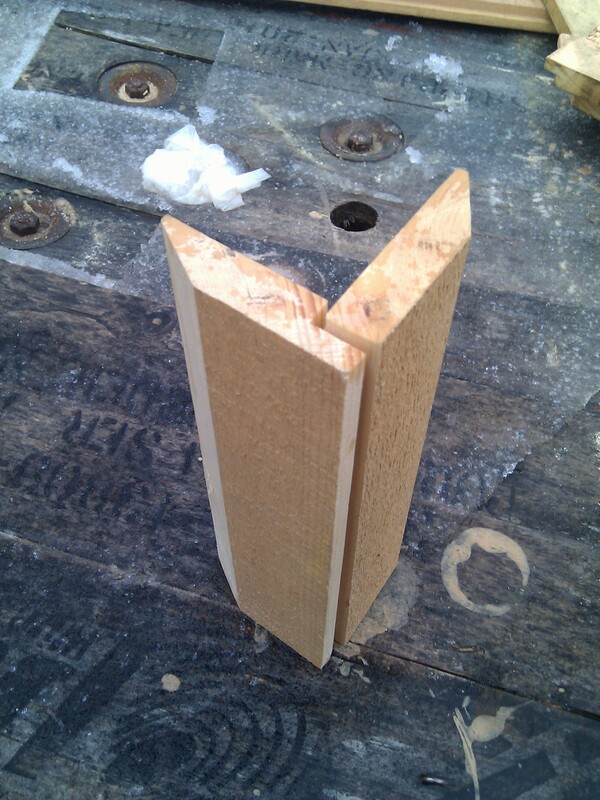 One board will need to have its tongue deepened to fit over the other board. The picture shows a test mockup of the trim profile.